*Just remember this (an important PSA) + It sure is crazy. 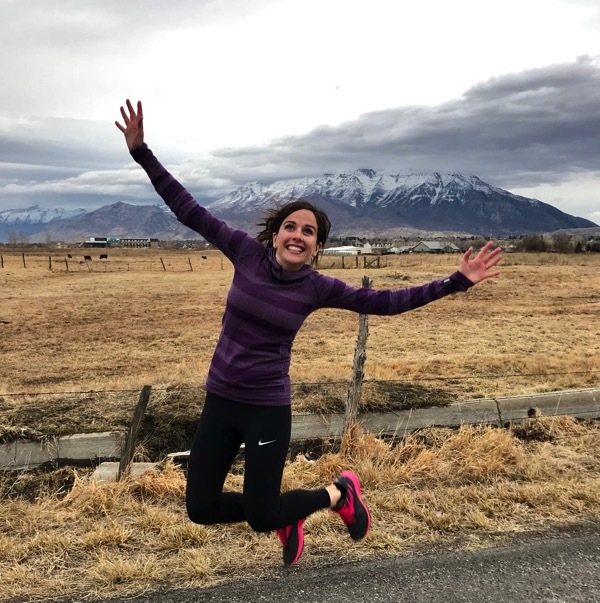 *What Inspires Me to Hit New Goals + an AWESOME Strength Workout for Runners. 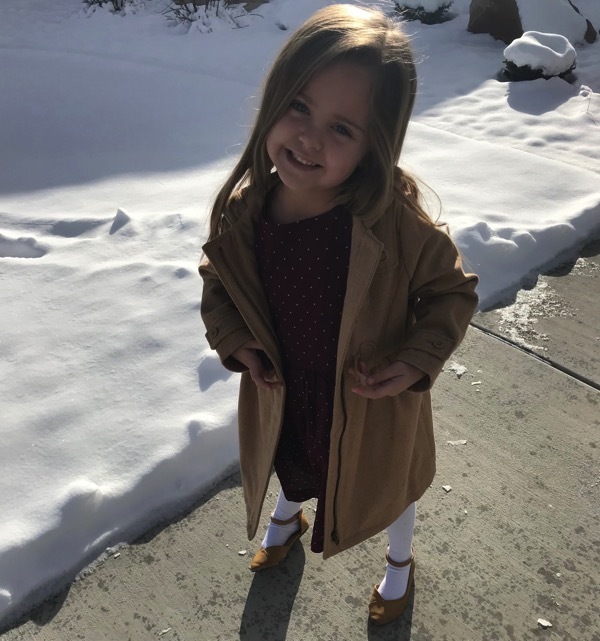 Brookie and I made it to church yesterday! We still aren’t taking Skye there yet so I went to church for the first hour and then we came home and Andrew and Brooke went back for the last two hours. 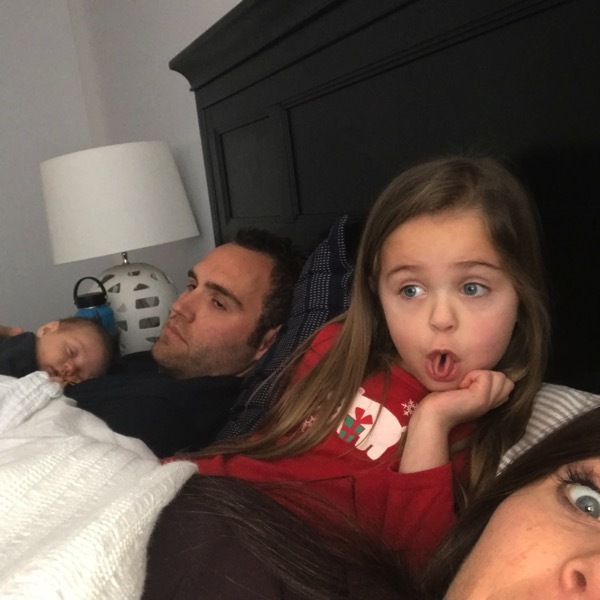 Our Sunday involved a whole lot of nothing but being lazy and it was perfect. See… hours later and still doing the same thing ha. We caught up on a few of our favorite movies to watch together. And stuck to simple snacks and meals… this was the winner of the day. And of course a few smiles from Skye! *As you know (from her kitchen renovation post), my sister is amazing with her home renovations. The best part is she absolutely loves doing them! I wanted to show you her latest one… SHE HAS SKILLS! *Andrew currently has a countdown until baseball season starts on his phone. He is just a little bit excited. *Allison sent this to me… this means some days we get almost 1000 questions a day haha. Sounds about right! *Ghirardelli brownies = heaven. This is the stage that Andrew would prefer to have his brownies cooked ha (he could just eat the batter and be happy) but we cooked them a little bit longer. 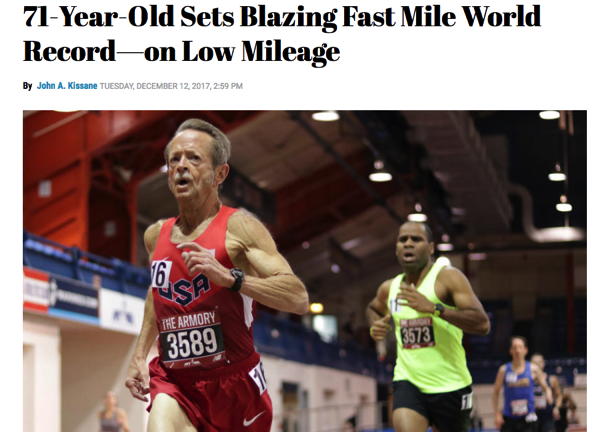 *A 5:29 mile just days before turning 72 years old… WOW!!! *How I feel about running right now. It’s weird because running feels a million times easier than running pregnant but it is definitely hard to get back in shape again! I’ve got another workout to share with you that I LOVED (ps I am really excited to get back to speed work)! 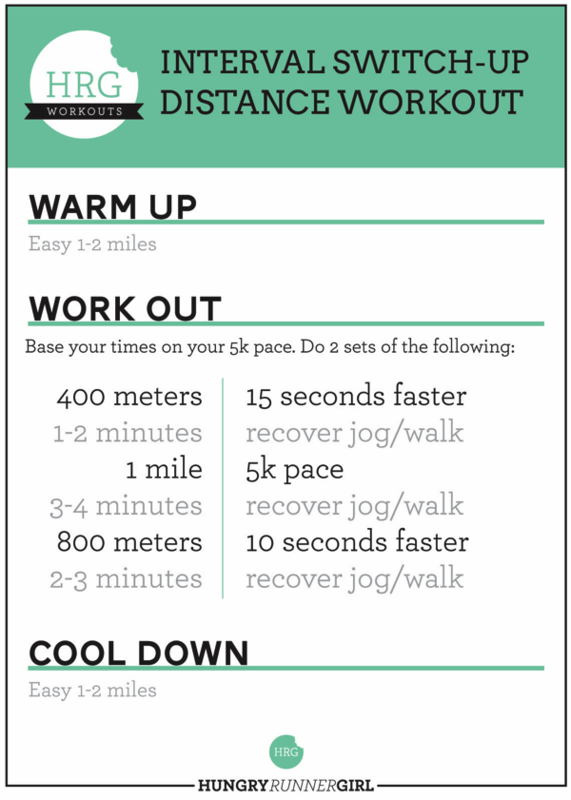 For this workout you will base your interval time off of your current 5k pace! So if you run a 22 minute 5k, then your 5k pace is a 7:05 mile and that will be the pace you use to measure your intervals. Do an easy warm-up and then start off with 400 meters @ 15 seconds faster than your 5k time, followed by the recovery jog and then the mile @ 5k pace, a 3-4 minute recovery, 800 meters @ 10 seconds faster than your 5k pace, 2-3 minute recovery… You can go through those intervals 1-2 times and then finish up with your cool down. It makes me SO happy when you tell me that you did one of these workouts so keep letting me know:) You’ve got this! If you do speed… what days do you usually do your speed workouts? Random question of the day… Red Vines or Twizzlers? Your favorite snack at this time in your life? Things sure change fast + 18 pictures + who does that?! Tuesday Tangents! + Control What You Can Control. PRO Compression WINNERS and warm enough for a picnic. Skye is so precious! 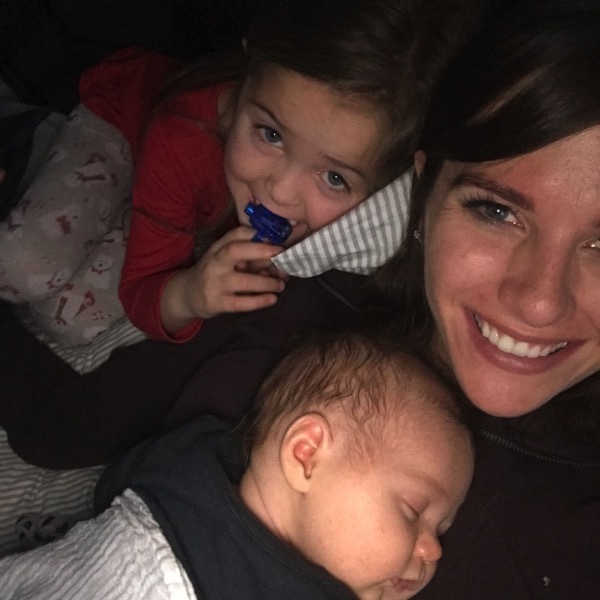 Looks like Brooke is a great big sis! Glad you get to be back on the roads again – you are right in cue with my dad – he was a D1 polee vaulter, got burnt out, and after 20 years of not running a step, he got back at it last week. Getting back to fit is tough! Best snack at this time of year – oatmeal with a dollop of PB get me every time. I love speed work! I usually do speed work on Fridays (I did 12x400m at 5k pace with 1′ recovery this week in preparation for a 10k in March). Then I take one day to recover and do my long run on Sunday. Way to go on your speed workout Mel! 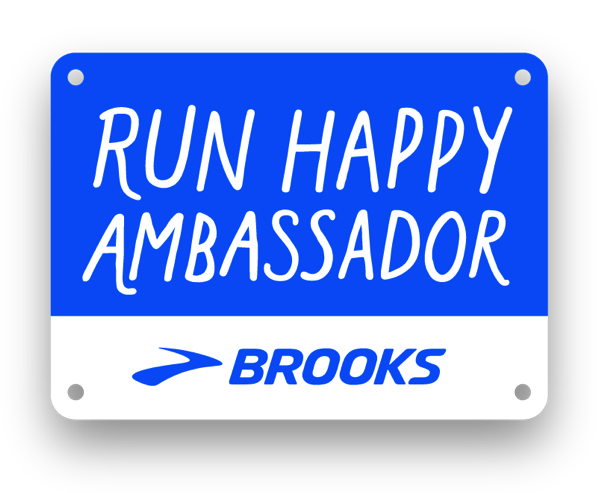 That is awesome and I can’t wait to hear about your 10K in March! A year off??? Oh that must have been way scary about coming back! I’m ready to surprise myself too! Thanks Mel and I hope your Monday is a great one! I LOVE when brownies are a little bit undercooked! I like to do speed days on Tuesday, but this year my running schedule has changed and I’m going to try speed on Sunday. We’ll see how that goes :) Best part of the weekend? Reviving my blog. It fell off of the priority list for a while, but I’m excited to start writing again. Have a great week! Best snack at the moment (weekend): wheat thins or puppy chow. Thanks for sharing that workout! I think I might attempt it tomorrow—will let you know for sure! The best part of my weekend was working with the high school girls at my church yesterday. I LOVE getting to be involved in the high school ministry and leading this girls small group. I also started playing on a beach flag football team, and we had a game yesterday, which is always super fun! Love the workout! I’ll have to attempt it sometime in the next couple weeks. The best part of my weekend was a hike! I’m not a huge fan of twizzlers or red vines! I prefer swedish fish! My speed days are currently Tuesday and Thursday usually. I should be doing a strength workout today but we have a crazy day planned so we will see if it gets done. How long generally are each of your speed sessions? Each time I have a speed session, I go in feeling dreaded about it but come out feeling so alive! Any tips on relieving the pre speed workout anxiety I have? That’s a great question! I was 100% the same way for a long time. I think the biggest tip for me is just reminding myself that speedwork I what makes you a faster runner. 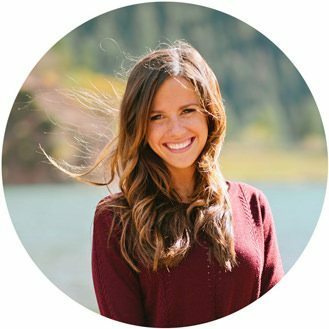 I’m sure Jenae has some awesome tips for it too! Thanks Jenny! How long are your speed sessions? Do you fuel yourself differently for those workouts? It really just depends on what I’m training for and the day. Lately they have been something like 5x 2 minute sprints with 2 minute recovery in between or 10 x 1 minute sprints with 1 minute recovery between. But there’s so many workouts. Maybe I’ll do a post on my blog about t soon. 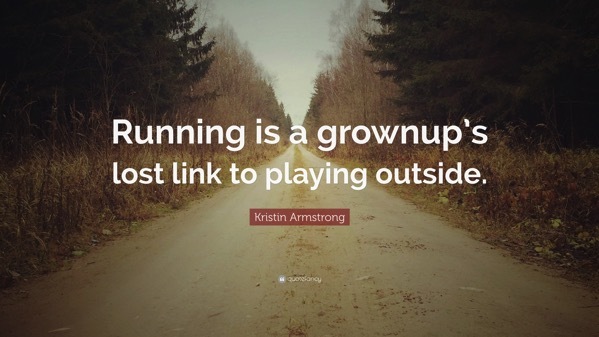 But there really are so many options and when you find one that you love that’s a good place to start feeling comfortable doing speed workouts. Oooh thanks for the workout! I think I found a half marathon I want to do at the end of April so I better get myself going with some speed work! I think the last time I trained for a race, I did speed work on Tuesdays, because I could buffer it with an easy run on Mondays and a strength/cross training on Wednesdays. TWIZZLERS! Red Vines taste like plastic to me. Best part – a couple of my friends and I took a road trip to the Chicago area to do some shopping, and met up with another friend of mine who lives there that I don’t get to see as much as I would like. It was SUCH a great time! Favorite snack – Trader Joe’s PB pretzel nuggets. OMG so good. Great job to your sister! The room looks fantastic. Your Sunday seemed very nice – it is wonderful that you and Andrew appear to have a switch-off routine that works well. It just seems like a very symbiotic relationship! I usually like to do speed on Thursdays. I take Mondays off, ease back in on Tuesday and Wednesday and then by Thursday I’m good to go. And then a lighter day before a longer weekend run. Hey Amanda! I love your method of training and I hope you’re having a great rest day today! Thanks so much and I hope you have a fabulous week! This looks like a great workout! I typically do speed workouts on Monday and Thursdays which works well for my schedule. Your sister is so talented with remodels! The room looks so nice. Usually I’m a Twizzlers girl but occasionally I’ll get a craving for Red Vines. Just rarely though. My favorite snack right now is chips and salsa. I make the easiest salsa ever at home and it tastes so much better than the store bought stuff. My highlight from this weekend was either the runners high from 10 miles or the dinner date that came to be after our original plans got ruined. 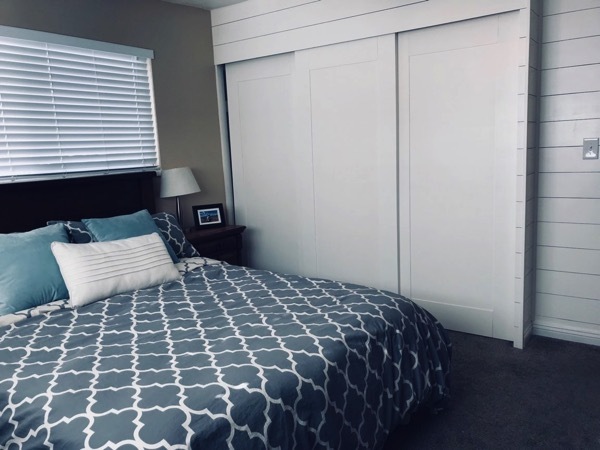 Would HRG sister share how she did the closet doors? 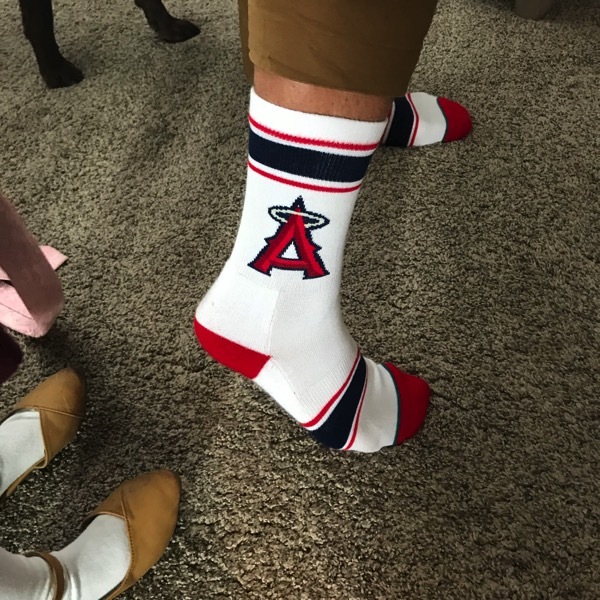 I have the same ones! I would be happy to hear about the whole project!! Hey Jaye!!! I will ask her to write a little something up about it but I will tell you what I saw her do! 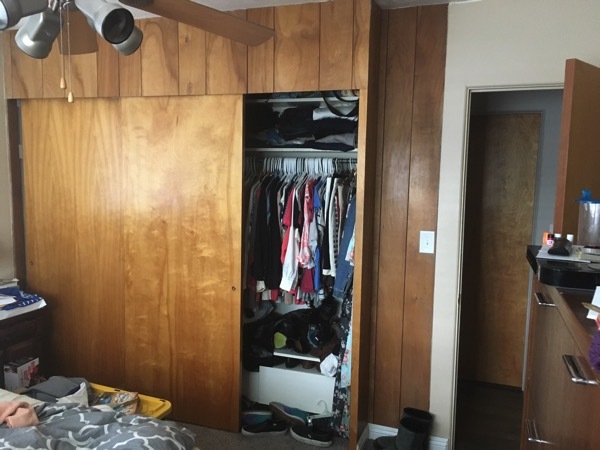 She just got some thin wood and placed it around the edges of each door! She used a nail gun to place them and then filled up the holes before painting them! It didn’t take too long but it made the biggest difference! I hope you have a great day! LOVE your workout! It’s kind of like a fartlek, from the Swedes! (Cool wiki page.) They are in my top three :p.
Qs for You: What parts do you target for when foam rolling? Do you have a favorite position when foam rolling or some favorite video? Have a happy day :)! You are going to rock Boston this year… I am so excited for you! So I made a video a few years ago (don’t laugh at it ha) and this is kind of how I foam roll! I’ve obviously never had kids but it’s always so hard to get back into shape after a break so I understand that. The best part of my weekend was probably my speed workout that finally felt good. I guess living in the greater Philadelphia area, I should also say that the Eagles won was pretty good too LOL. Caramel apple flavored? I have not tried those.. I must find them! Glad that all of the craziness is over! Have an awesome week Rachel! This is a random comment, but where are your lamps in your bedroom from? Every time I see you post a bedroom picture I am curious about those lamps – I love them! I remember when I used to nanny how much my five year old asked questions. About literally anything and everything. 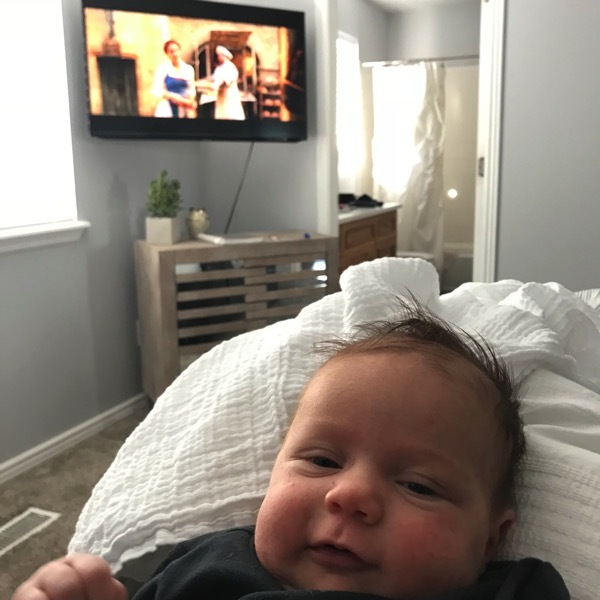 And she could totally tell when I started to tune her out and just say yes to everything once in a while when I was exhausted….she would pick up on it right away and be like “Allison, that was not a yes or no question” haha! 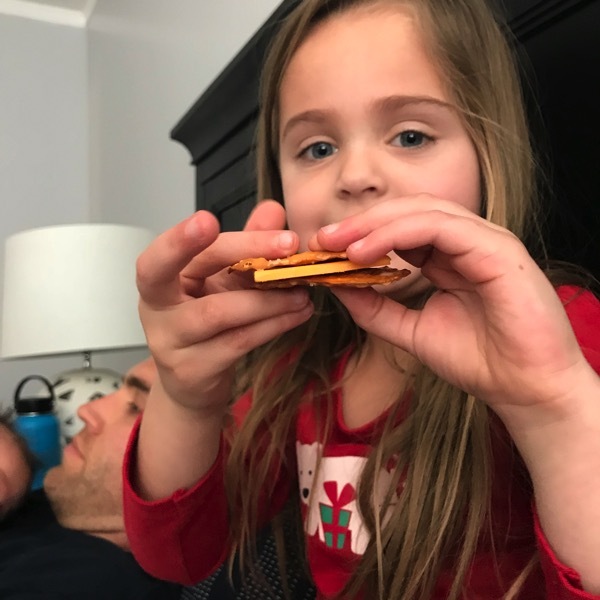 I love those Costco pretzel thins with cheese in the middle…that may be one of my favorite snacks. But I would say that my current favorite snack is Lebanese garlic dip with any kind of pita chip. So good. Tuesday is typically speed day for me. Right now my coach has me doing some sort of stride/speed 3x a week and Saturday seems to be the hardest. I’m really working on my form and strength after being injured in 2017. I’m trying to be patient about my speed coming back, but I can tell my form is better. My weekend was awesome. The weather finally warmed up a bit. I also had a fun lunch with my girlfriends yesterday. I ate WAYYYY too much. I am so glad you had such a great weekend and that it warmed up for you! I’ll work on my form with you right now:) so glad you are back to training after your injury! Have a beautiful day and good luck on your speed tomorrow! I have to say that I’m 100% team Red Vine. Love those things. Favorite snack (currently) is those tiny little peanut butter cups from Trader Joe’s. In fact, they’re kind of evil! 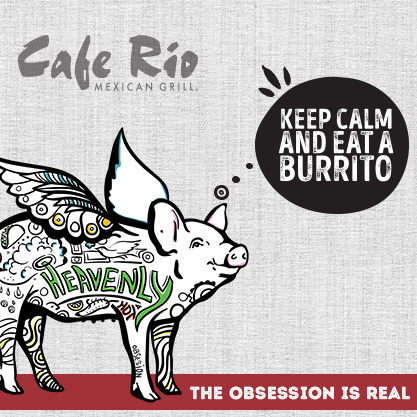 Those things are SO addicting and now I want to jump in the car and drive the thirty minutes to get there haha! I hope you get some red vines soon and that you have a great week Emily! Janae! So glad you are out running again! I hope to head out tomorrow. We had a foot of snow in NC last week – which is an insane amount for here, so running on ice was not in the plan. :) I love that you constantly remind us to focus on our present running and be appreciative of that (not the past). So I hope you keep enjoying the journey without stressing over a destination! Ok, Sissy is INCREDIBLE. That is insane!!! She should just do that for people on the side! Are yall sending these into HGTV? I am sure they would be impressed and give her her own show or at least be a contestant for something. I am beyond impressed. Mad skills. A foot of snow?!? WOW! Thank you so much Alisha:) Seriously I keep telling her she needs her own skills.. maybe I’ll just send in the pics without her knowing ha! I hope you have a great day! i love soft gooey brownies — the more undercooked the better! 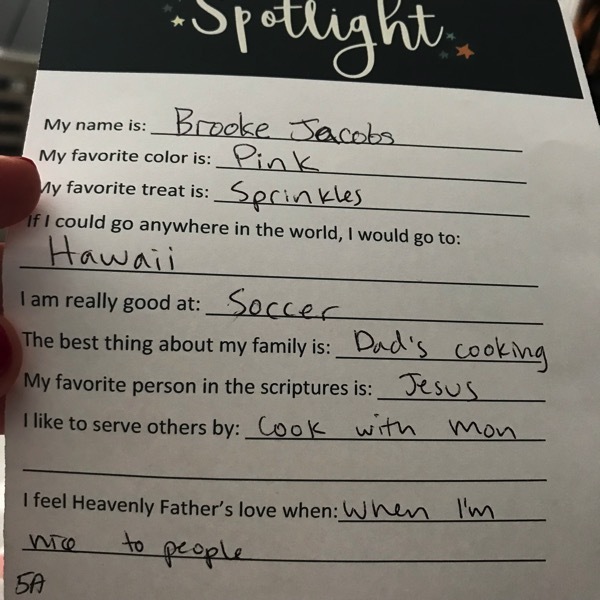 brooke’s answers to the spotlight are super cute! skye sure is growing! I am loving the work out of the week!! I’ve been doing them every week so far and it’s so nice to have someone make up a speed work out for me! Oh this makes me sooo happy! Great job Tess and I hope you have a beautiful week! I’m right there with you on the Twizzlers versus Red Vines. Twizzlers all the way! The highlight of my weekend was date night on Saturday. My boyfriend and I ordered dumplings on Skip The Dishes and watched a movie. I think my favorite dates are the ones where we stay in. Oh man, those brownies look amazingly good!! I’m all about the gooey brownies too! The best part of my weekend was getting to spend half of the day on Saturday with my mom! 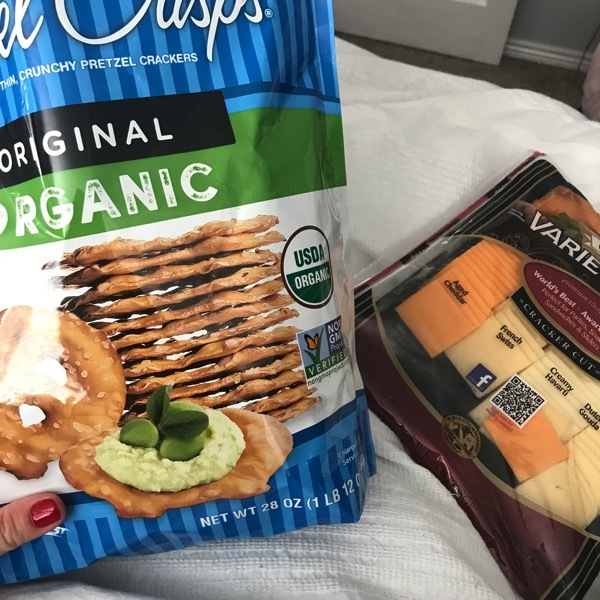 My favorite snack currently is still those little halo oranges! I can’t stop eating them!!! When I’m not training for stuff, I do speed whenever I feel like it but when I am training for something, I tend to do speed in the middle of the week. I actually like Twizzlers and Red Vines but they both have to be super fresh! My absolute favorite snack right now is peanut butter filled pretzels. Hahaha it’s brand new… just give it a few months and you won’t be jealous anymore! I hope you and your kids are having a wonderful day Heather! Your sister is amazing, I wish I was brave enough to tackle house projects like her. I’m sure it takes a lot of patience, time and learning, but the outcome must be so worth it. Satisfying to say, “hey, I did that!” and probably saves a ton of money compared to hiring a contractor. 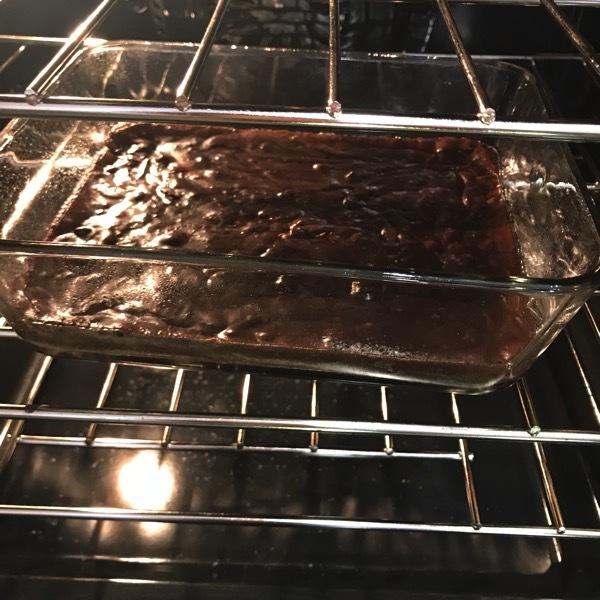 You have me craving the brownie mix, I think I’m going to have to pick some up on my way home from work! 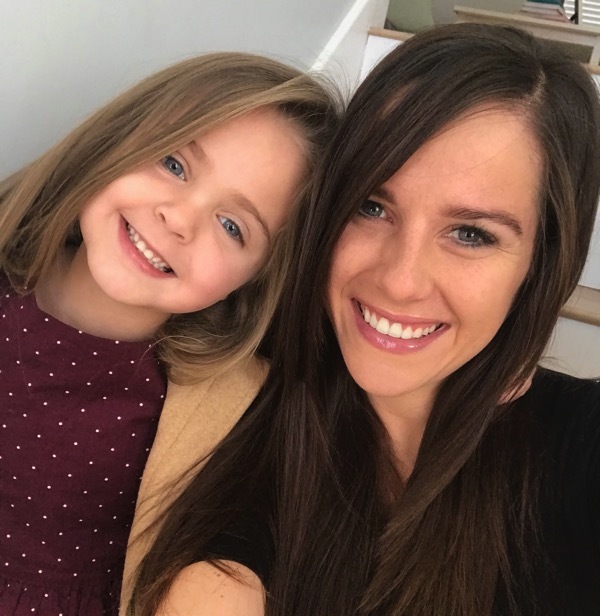 So I hope this isn’t too nosey, but I’m totally curious, how has Brooke adapted with blending families and has she asked questions yet to understand why she has two people in her life she calls dad? It just got me curious as I know you’ve mentioned she calls him Dada. My boyfriend was older (second grade) when his Dad remarried, so he has never called his stepmom “mom”, he has just always called her by her actual name. His parents had 50-50 custody, and he’s said his stepmom never wanted to feel like she was replacing his mom. My mom went through something similar – her dad remarried when she was in college, so she’s never called his wife her mom, and i’ve never called her grandma. I know every situation is different, so it just got my wheels turning, haha! I always appreciate your openness and vulnerability about divorce so I thought maybe an update on the blending process could be interesting after seeing those cute Spotlight answers! Hey Katelyn!!! You better get some of that brownie mix ASAP! It is so good! Great questions and thank you for sharing what you and your boyfriend experienced! I will write a post about this for sure but I’ll give you a shorter answer now too:) Brooke hasn’t questioned yet why she has two dads in her life. She doesn’t really remember life before Andrew (she was 3 when they met) and spends a lot of time with him (especially since he is home almost daily)! We let her decide what to call him (on the spotlight her teacher just wrote dad instead of dada) and that’s what she chose! She feels a bond to both of them big time and I think this is just the only life she knows. It probably would be different if she was gone more or if the divorce happened later in her life but having two ‘dads’ is just her normal if that makes sense. It would probably feel weird for her to just have one dad at this point ha! I hope that answers it a little bit but I’ll write something more detailed soon! Tell Brooke we are in Hawaii until Thursday – wish she was here!! We had an epic weekend – coconut shrimp from a North Shore shrimp truck on Saturday, I ran Tantalus yesterday, followed by breakfast at Cinnamon’s. 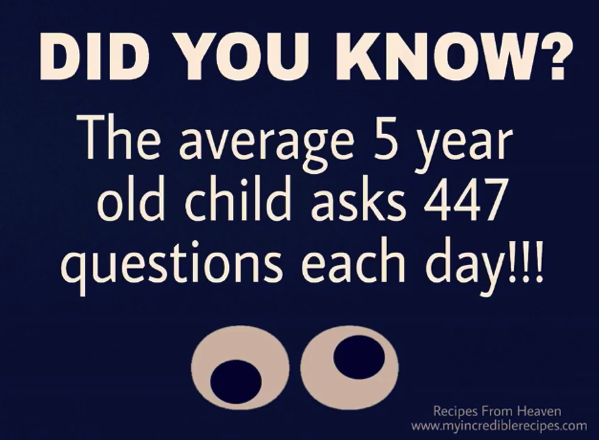 I can definitely believe they ask that many questions, I work with kids and I feel like all I do all day long is answer questions- often the same one over and over again aha! Definitely twizzlers! Twizzlers for sure. Lately my snack craving has been cinnamon buns with icing. Best part of the weekend – we went to Whistler for the weekend and decided on an impromptu visit to the Scandinave Spa. Thermal hot springs, sauna, hot steam room. Fat flakes of snow were falling while we sat in the thermal pools and we had mountain views. Also, they had outdoor fire pits. It was amazing. Sadly no speedwork at the moment but just incorporating speed into my runs. My favorite snack lately is a slice of my husband’s Babka bread with butter. If I’m pretending to be healthy, it’s a banana with almond butter. Since I’m not currently training for anything besides life and post partum recovery, I don’t have a designated “speed” day. It usually just happens if I’m feeling good. Twizzlers… preferably the black ones. i’m not a big fan of licorice but Twizzlers over Red Vines. My favorite snack at the moment is teriyaki jerky strips. They’re so good and I like that I’m getting protein with my snack. My other favorite are sea salt roasted chickpeas. The best part of my weekend was either our new appliances delivered or dinner with my in-laws. (our stove was 49 years old and during the past year pieces started to break and could no longer be repaired. It baked like a champ though. Along with that the magnet on our fridge started going so the door would open randomly, the fridge was over 24 years old but worked fine otherwise. Again it’s no longer made so we couldn’t just replace the stripping). We spent the weekend in Florida with my in-laws at their new house!! My current favorite snack is a kirkland protein bar from costco or an apple!! Have a great day!! The best part of my weekend is always date night with my handsome husband. Twizzlers for sure! Halo Top is a favorite snack right now. Cookie Dough flavor! I love lazy Sundays so jealous of your great pics (I had to work). First things first……I’m totally with Andrew on the brownies. I think the only reason to put them in the oven is to heat them up until you don’t have to eat it with a spoon! haha. I am at my daughter’s house and the best thing this weekend was watching my 6 month old grandson in swim class. Then I also got to run along the ocean which is so beautiful! Having some issues a couple miles out with my IT band which is new to me so I’ve gotta find out what to do…. I got my VISA gift card today also! Thanks so much. Amazon here I come lol! I usually do an interval run mid-week. I tried the one you posted last week and loved it! I was going to do it again this week, but maybe I’ll try this new one you just posted instead. Yes yes to Ghirardelli brownies! And always Twizzlers. I’m so happy to see you’re back to running. I’ve been reading your blog for a long time, and appreciate your positive attitude so much. 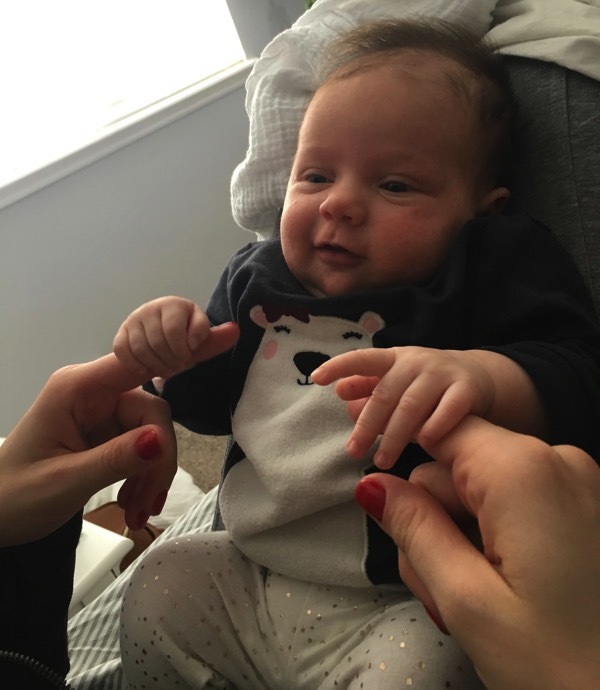 AHHH KATHERINE… huge congrats on getting this workout in! It is definitely a tough one! Great idea to switch things up with the incline too, I love it. Thank you for your sweet comment, it made me smile! Enjoy the rest of your Sunday!